When Cst John Petropoulos of the Calgary Police Service fell to his death during the investigation of a break and enter complaint in September 2000, his wife, Maryanne, learned first hand the immense toll a line-of-duty death has on the loved ones left behind. A Widow’s Awakening is a powerful read for those in the police community – police officers and their spouses – as it speaks to the important work police officers do and the far-reaching impacts the ultimate sacrifice has. For more information on the public safety educational initiatives of the John Petropoulos Memorial Fund, please visit www.jpmf.ca. On Sept 13th, 2018, BHC Press will be releasing A Widow’s Awakening as a novel. To order, please visit BHC Press. 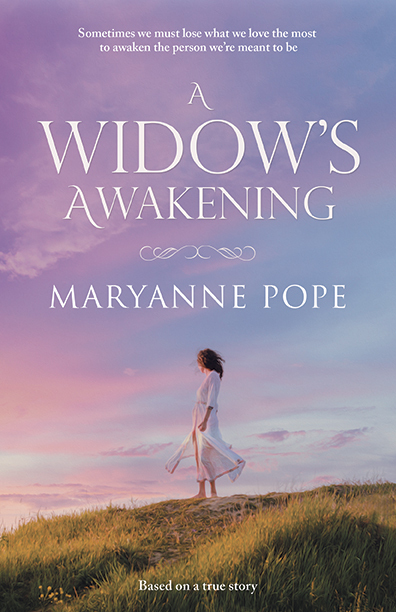 To read a Q&A with A Widow’s Awakening author, Maryanne Pope, published in the Dec 2013 issue of The Police Association Victoria Journal out of Melbourne, Australia, here is the link. For additional reader testimonials from the police community, please click here. Please click here to listen to a short audio clip about John’s police funeral from A Widow’s Awakening audio book.